Whether you plan to use your attic as an extra bedroom, playroom, or storage space, you will be faced with what you want to use for your attic flooring. It is crucial that you choose the best type for your purposes, otherwise, you may find that the job needs to be redone or your floor does not hold up over time. Let’s explore some of your attic flooring options and look at the pros and cons of them. If you plan to use your attic for storage purposes, a plywood floor may be the best option for you. Plywood is durable and you want to choose a thick variety, so that you can load up weight onto the floor without the worry that it will come crashing down. You can choose to lay down the plywood and then place another flooring material on top of it such as wood. Plywood provides durability, but it does not look as nice as other options. Carpet is a good choice for the attic if you plan to use it as a bedroom or a playroom. You should always place the carpet over a subfloor. You will enjoy that the carpet provides your feet with a soft place to land and the carpet helps to hold noises within the room. One of the downsides to carpet is that spills can stain it and water damage is always a concern. Vinyl is a good option for your attic flooring, especially if you plan to use the space as a playroom. The vinyl is placed over top of a subfloor and is easy to maintain. If you spill something on it, the spill can be wiped away without any lasting damage. Vinyl is not as comfortable as carpet on the feet, but it does look nice. Lastly, hardwood is a good choice for the attic if you plan to use the space as an office. You can choose from a variety of wood types to include oak, cherry, bamboo, and even cork. The option you choose will influence the look and sound within the room. The best type of attic flooring is one that you enjoy and one that serves its purpose for you. If you are having trouble deciding, contact J. 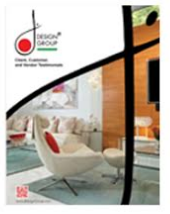 Design Group today and let our experts help!